Although designed for the new Czech two-hole Kite beads, this pattern also works wonderfully with DiamonDuo and GemDuo beads. 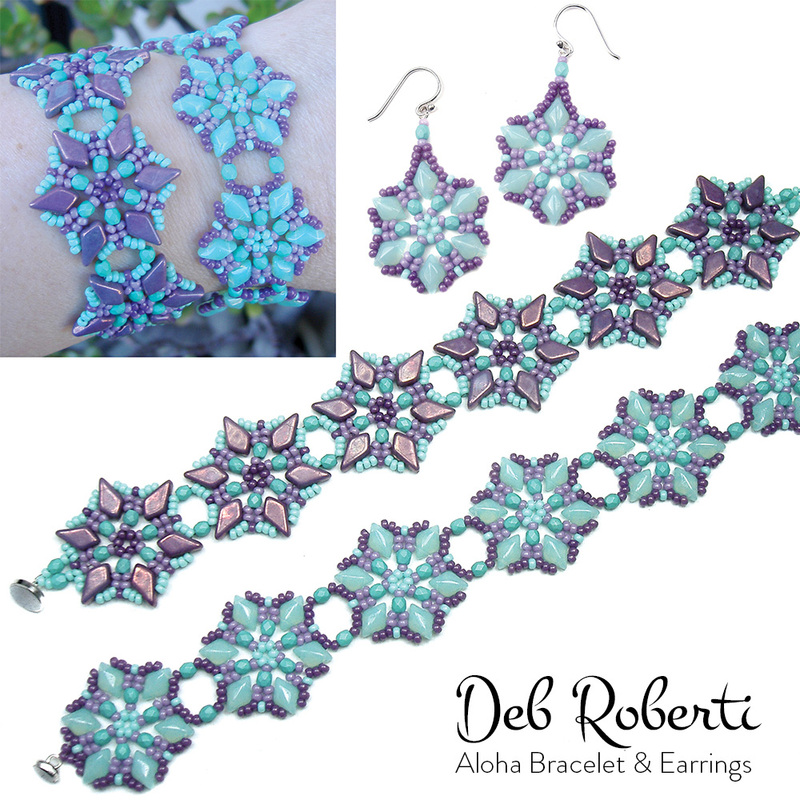 It is a variation of my Starflower Bracelet, created by beading six (or more) separate Aloha motifs, which you then join using tail threads and beads. Directions included for turning the motifs into some matching earrings.